All illness, be it physical or mental, is attributed by Ayurveda to "pragyaparadh". 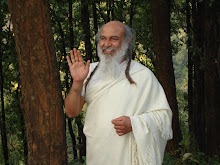 Babaji says the "the mind exists only when it imagines". Unfortunatly it is this mind, this ego, that causes all our suffering. For the ego to exist it must imagine itself to seperate and distinct from the Divine. So when we humans imagine oursleves different from one another, from animals, from nature, from anything, it follows that we become ill.
Pragyaparadh is a trick of the mind, a mistake of the intellect, the foolish thought that we are seperate. This trick, and illness, can be as a result of a lack of intellect (not knowing any better), the choice to ignore what we know (like smoking even when we know it's bad for us) or simply memory loss. Let us remember this when our human intellect interferes with nature too much, for example by genetically modifying food, or using chemical fertilisers or growing vegetables in an unsuitable climate. We would not be wise to presume that we know better than nature, better than God. It makes sense then, that we are not very healthy. But I have a few problems with pasta as a daily food. Partly cause it's dried out and old, I want the soft fresh stuff. But then the soft fresh stuff always has eggs in. And finally because it's impossible to get decent wholemeal pasta, it always winds up tasting like cardboard, even after what feels like hours of cooking. Well, vegeyum has solved the first two of my problems with a home-made eggless pasta which I will certainly be trying out soon. As for the wholemeal part, maybe I will try and find wholemeal semolina flour. In the meantime, I've been testing some alternatives to white pasta and have come up with a favourite: Orgran buckwheat pasta. I think it's sold as a gluten-free alternative but I I love buckwheat and want more of it in my life. It's got that strong, buckwheat flavour so lends itself well to nutty sauces, and it cooks in only eight minutes but doesn't go soggy like some wheat free pasta. So if you have time, try it home-made, or you are in a rush I recomend a packet of buckwheat pasta if you can get hold of it. One of my favourite things about India was waking up to the chai wallah chanting "chai, chai, garam chai, masala chai, chai, chai..." Chai in India is less like tea, and more like fuel, an immensely strong, sweet, spicy brew taken by the shot (rather than the litre) to power you through the day. Chai in Australia is such a very different thing. It's not bad, it's just not chai. I am slowly coming to realise that chai means something quite different in this country than in it's homeland. Traditionally soy, syrups, honey and vanilla would never enter a chai wallah's mind. Every chai wallah, and indeed every housewife, has their own distinct blend, but none I've tasted in cafes around Melbourne are even remotely similar to their namesake, and here's why. Chai is tea, it shouldn't be made from a powder or syrup. And secondly tea should be brewed in water, it won't steep in milk, so if your drinking "chai" that is all milk it's gonna taste more like hot milk than tea. Everyone will have a different masala (spice mix) according to preference, pocket, dosha and the seasons. As a general rule key spices are fresh ginger and ground cardamom, but you really can add anything you want, see below for suggestions for each dosha. Fennel is my absolute favourite. Below is my own blend, follow the method to infuse the flavours properly, but change the ingredients to suit you. Milk is more easily digested when prepared this way due to the heat and the spices. Bash up the spices a little in a mortar or pestle and combine with tea and about 1 1/2 cups of water. Bring to the boil and simmer for just two or three minutes to steep the tea. Then add milk and bring to boil again. Watch it carefully or you'll end up with milk everywhere. Strain out the tea and spices and enjoy. Add a pinch of jaggary to taste, these days in India they use castor sugar by the kilo, but I'm a stickler for health, and jaggary tastes much better too. Vata: Any spices but not too much heat: avoid black pepper and ginger powder. Pitta: cool or neutral spices like fennel, cardamom, vanilla. Kapha: Any spices but especially hot spices like black pepper and cloves, ginger powder instead of fresh ginger, more water and less milk. Cardamom will aid digestion of milk, let cool and sweeten with honey instead of sugar. *Since posting this a number of comments have appeared linking to commercial chai syrups etc. Needless to say I won't be publishing them! Chai is very easy to make with a little practice and the right ingredients-don't fall victim to marketing telling you it's hard. I was reading about how women now have there periods for a lot longer than we did in times past. What I mean is, for whatever reason, we begin to menstruate at an earlier age, and we have less children and later, meaning that we spend a lot more time bleeding. Then I got to thinking about how it seems that our whole culture is prolonging adolescence. Young girls are dressing like grown ups and wearing mini skirts and trainer bra's. We watch TV shows about 30 somethings living in share houses and going to parties and agonising over bad relationship choices. We are having children older, as late as our 40's. We are essentially extending our teenage lifestyles from about age 10 to 35. So that's my rant and rave for today. I am feeling a bit isolated from my own generation, who are consistently shocked and horrified to hear that I am married at the tender age of 24, that I own my own home and I plan to have kids before I am 30. I'm not suggesting that this is the best path for everybody, but again and again I am surprised at how few people are choosing to take this path now. Today I want to share with you one of the newest additions to my daily routine. Whilst the bathing bits not new, what is new is the mung beans. I love mung beans and am constantly astounded by their many uses. Mix a little mung bean flour with water and use this paste instead of soap. It smells like freshly cut grass and doesn't dry out the skin like soap. It is tridoshic and especially good for sensitive skin and conditions such as athletes foot. You can buy mung bean powder, or flour, from some Indian grocery stores. In India they mix a little turmeric with this paste and use it as a face wash, though I am a little wary of using turmeric on my skin for fear of looking jaundiced! If you want to try this be sure to wash it off quickly. Pitta should take cool showers, Kapha and Vata warm. Very hot water will dry the skin, so Vata, Pitta and anyone with sensitive skin should have their water just warm enough to be comfortable, not scalding. Bathing should take place every day before eating or meditation. Whether or not we are professional athletes, many of us can take a page out of Justine Henin's book. She has retired at the peak of her tennis career at just 25 years of age. I don't follow tennis, but the story struck me because her motives are so universal. All she wants, after all, is a life. "I want to rediscover the small pleasures, not look at my watch all the time because I have to get to training the next day.” We live in a world where our jobs can easily take over, and I give big respect to a woman who let's go of 'success' for more simple pleasures. Many people are shocked by her retirement, the thought that she has worked so hard for something that she is now giving up. But just because she is good at something, doesn't mean she has to do it for the rest of her life. Interestingly, after a difficult divorce, and reuniting with her family, she has just found she doesn't actually have the motivation to play anymore. "She used tennis as an outlet for her emotions and finally with her life now reconciled, she no longer has the fire that drove her to success," said her coach. Women often wonder why we even get periods. Modern Science can't seem to offer a satisfying explanation, but that doesn't mean there isn't one. We only just discovered the purpose of the appendix, that useless organ we've been whipping out without so much as a second thought. It's actually what creates healthy bacteria for the gut. My husband doesn't have his appendix anymore, but he does have a long history of athletes foot, and occasional bouts of thrush and candida, so that explains a lot. My point is some people beginning to discuss the idea that women don't even need their periods. Which personally I find rather alarming. Women do have periods, but that doesn't mean it should be held against us. "Nothing in our society, with the exception of violence and fear," says Chris Northrup, "has been more effective in keeping women in their place than the degradation of the menstrual cycle." I believe this is true to a degree even in post feminist western society. But it is much, much more degrading to young women in Africa, for example. A fellow blogger rallied her 'knowledge community' to support these young women with a truly inspiring project called Good 4 Girls. Check it out, it speaks for itself. Ajwain, like all good spices, can be spelled a number of ways including ajwan or ajowan, none of which will register on your spell check. And if you live outside of India, you've probably never heard of it. It's also know as carom or bishops weed. Just to confuse things further it looks like caraway but is a member of the parsley family. Ajwain has a very dominating flavour, and I reckon it's often one of the tastes of Indian food (like in samosa pastry) that people just can't work out how to replicate at home. Shubhra Krishan describes it best: "Let me tell you about ajwain, a warming and detoxifying spice. It tastes somewhat like thyme, but stronger. I find it somewhat like similiar to oregano, too. The best way to discover the distinct taste of ajwain, of course, is to sample it"
And sample it you should. Ajwain is heating, light and digestive. It stimulates Pitta and calms both Vata and Kapha. Ajwain has two main medicinal uses, it expels gas from the colon and is a natural painkiller, making it perfect for bloating or over eating. It stimulates the appetite and strengthens a weakened digestion. Secondly it is an expectorant and germicide, used in cases of coughs, colds, bronchitis, asthma, tonsillitis and throat infections. It is also antiparasitic, antiseptic, antispasmodic, carmitive, tonic and a general all round good guy. There's some disagreement as to it's origin, but it is in common use today almost exclusively in India . Though it's sometimes found in North African spice blend Berebere. Like most spices, it's aroma compounds are lipophilic, meaning you ought to fry Ajwain in ghee to get the most flavour. Do try it, it's one of my favourites, but go easy, it can be very overpowering. I don't really like the idea of working for money. Call me crazy, but I don't believe you have to. Ayurveda is something I really enjoy, and I will do my best to spread the love whether or not I get paid for it. But I thought I may as well get paid for it so I'm going to try allowing some advertising on my blog. I hope I haven't offended any of you too deeply! I'll be experimenting a bit with the layout of the ads for the next few weeks so stay tuned, and let me know if they ever get in the way of a good read. I believe one can have a great impact on their physical, mental and spiritual health whilst reducing their impact on our wonderful planet by simply eating less meat. Whilst I am vegetarian myself I don't actually don't push the vegetarian agenda very much, I am quite an advocate for flexitarianism. This is just a new fandangled word for someone who is "sort of" or "part time" vegetarian. The word came about in the US in the early nineties, and now there's a new cookbook about it. Whilst some people see it as a step towards a more strict vegetarian diet, I don't think it has to be. Becoming Flexitarian is a much more sustainable and for many people, especially when their families and communities don't support being vegetarian. Check out a meat-free week or even meat-free Mondays. There may be an angry vegan out there reading this and shaking their head. But even if you don't like labels and classifications, or you suspect people who adopt such a diet are lacking in conviction, suspend judgment for a moment. Because for a lot of people it is really hard to be vegetarian, we should be supporting and encouraging every step in the right direction. If more people eat more vegetarian food it will go a long way to beginning to create a vegetarian friendly culture. Which I find one of the greatest barriers to my own choice to be vegetarian. As consumers demand it, more vegetarian food would become available in homes and restaurant, in shops and markets. the western world would come to have better knowledge of how to eat a more satisfying diet than simply meat and three veg without the meat. Lets begin our vegetarian friendly heritage and traditions now. And for me, it's all about approaching life with a peaceful mind. You won't be doing yourself or anyone any good if you refuse to anything your mother can cook, or you beat yourself up for secretly craving meat. So don't worry about the labels, eat what feels right for you, regardless of whether you fit into one of our socially defined categories. Remember the goal is not renunciation, the goal is to give up the desire in the first place. French Doctor, Frederic Saldmann, has written in his book La Grand Menage (Spring Cleaning) that suppressing our natural bodily functions is making us ill. He recommends we all burp, fart and sweat at will. He has some other rather sensible suggestions including not eating whilst walking. Really, what I find incredible is that we need telling! It seems pretty obvious to me that when things want to come out of our bodies we ought to let them. So let it rip. "A cucumber in the morning has the qualities of a diamond, a cucumber in the day has the qualities of a cucumber and a cucumber at night has the qualities of a rock"
Cucumber is actually a berry, and has an interesting history. As you can well imagine, it is cool, heavy and sweet. It's high water content raises Kapha, but it cools Pita and refreshes Vata. It is very heavy and cold, so take it moderation, and not straight out of the fridge. Save cucumber for warmer weather, and it's best not eaten at night time or you may wake up with a stuffy nose or a cold. Cucumber is best not eaten in combination with milk. Cucumber is excellent for dry, hot skin disorders, including sunburn. For Vata it is best taken warm so add sticks of cucumber to sturfries, or chunks to dahl just a minute before serving. Serve it with warm, digestive spices. There are three varieties of sesame seeds. The white ones everyone is well acquainted with via McDonalds hamburger buns, which have some medicinal properties. Red or tan sesame seeds, which no one has heard of because they don't taste great, nor do they have significant health benefits. And finally black sesame, which are used commonly in Asian cuisine, especially deserts, and have excellent healing properties. Black sesame can be bought in Asian grocery stores, either whole, ground or sometimes as a paste. Black sesame seeds are sweet, bitter, hot and oily. They are too hot for Pita, too heavy for Kapha, and just right for Vata. But taken correctly black sesame heals all doshas. Black sesame is used for anemia, anti-ageing, pain relief, sexual health, skin, hair and teeth. Black sesame are particularly beneficial for people who don't eat meat products. In western terms, they contain high levels of good fats, calcium, B vitamins and iron. They are a very strengthening food. Use black sesame anywhere you use regular sesame. Black Sesame powder is especially easy to take as it can be added to porridge, stir fries, soups and cakes, as long as you don't mind your food looking black! It will give everything a tarry, dirty look, but doesn't have a very strong taste. It's time to write a bit more about Anemia. I wrote something down awhile ago here, but I want to stress again that anemia is more complex than just eating iron rich foods, or not. In fact, iron deficient anemia is rare is men and post-menopausal women. Now, the difficult part, what to do if you have anemia. I'm not quite sure I can answer that question, since I am still suffering from chronic anemia myself, since recovering from Hepatitis A and parasitic infection, but here's my best shot. Whilst anemia can be caused by any doshic imbalance, it always involves pita and the liver. Depending on the strength and condition of the patient mild laxatives can be given to drain the bile from the liver to prevent it from entering and therefore thinning the blood. Eat a diet to balance your dosha and choose from the following foods to suit your dosha. Note these foods may be not be high in iron, but they will help with anemia in different ways. An ancient cure is to soak iron filings in cow urine for a week and then take it internally. Though I'm pretty sure I won't be trying that anytime soon, and not just because of the un-availability of iron filings. Let me know if you have any experience with anemia to share. There's a recipe doing the blogging rounds and I didn't want to miss out. I got it from here, and they got it from here, and here's my two cents on the matter. Tofu is not strictly a good Ayurvedic food. Soy beans are highly contested in Ayurvedic circles. Whilst they are sweet and unctious, many Ayurvedic doctors don't recommend soy for anyone. Turn it in to tofu or soy sauce and you have a second problem of fermented food. But I quite like tofu and it doesn't feel bad when I eat it, so I tend to choose fresh tofu from the asian grocery store rather than the shrink-wrapped stuff in the supermarket which could be months old. I also try to eat it at lunchtime when digestion is strongest. My variation includes tahini, because I find peanut butter too much for my angry liver, and fresh coriander to cool it down a bit. I also replaced bread crumbs with oats, because bread crumbs contain yeast and white flour, so I'd rather avoid them. But I love this recipe, cause you get to use your hands a lot, and good veggie patties are hard to find. The result really is so tasty, it can't be bad for you. Use instant oats, or grind your oats in the food processor for a moment to get them a bit finer. Preheat the oven to 200' and grease a tray. Crumble the tofu in a bowl with you hands. Finely chop the onion and mix all ingredients except flour. Grab a closed handful of of the mix and roll it into a ball and coat it well in flour. If the mixture is quite wet you may want to let the flour sink in and roll it in flour again. Bake for about 15 minutes or until crunchy and brown.